The bill is facing added scrutiny in the Senate. Patty Hajdu, Minister of Employment, Workforce Development and Labour, arrives for the Liberal cabinet retreat in London, Ont., on Jan. 12, 2018. OTTAWA — The federal government won't say if its anti-harassment bill will block complainants of workplace misconduct from also taking their cases to the Human Rights Commission. Independent Sen. Marilou McPhedran asked Labour Minister Patty Hajdu during a special question period session in the Senate on Tuesday to confirm whether federal workers will be able to seek recourse in the human rights system. Marie-Claude Landry, chief commissioner of the Canadian Human Rights Commission, told a parliamentary committee earlier this year that Bill C-65 "does not go far enough" in making victims feel "safe, empowered, and supported." Tulips frame the Peace Tower on Parliament Hill in Ottawa, on May 14, 2018. "In order to find a solution to harassment and help victims deal with it, they must have access to the redress measures set out in the Canadian Human Rights Act," Landry said in February. The government's proposed legislation does not identify specific sanctions for employers found guilty of misconduct. Hajdu ducked the Manitoba senator's question, calling the bill "pivotal and transformational legislation." If she achieves "nothing else" before she leaves federal politics, she said she would at least be proud that political staff will be protected under legislation "for the first time in the history of this place." Legislation alone won't end harassment and sexual harassment, the minister acknowledged. There's a need for a "cultural shift," she said. Hajdu said she's open and prepared to review all amendments to the bill and reiterated her earlier point that legislation isn't a "sole fix" to eliminate harassment in federal workplaces. She added that the issue is going to require effort from "all of us" to stem. 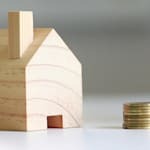 When Bill C-65 was first introduced in November, it was praised by many as a piece of legislation that has been a long time coming. But after amendments made in a House committee, the bill is facing added scrutiny in the Senate. Unlike federal public servants, employees of the House of Commons, Senate, Library of Parliament, and Parliamentary Protective Service are not protected by the Canada Labour Code. If Bill C-65 becomes law, it will extend the Labour Code's protections to workers on Parliament Hill. It will also apply to political staff employed by members of Parliament as well as employees in the offices of the Senate Ethics Officer, the House of Commons' Conflict of Interest and Ethics Commissioner, and the Parliamentary Budget Officer. The new bill also amends the Labour Code to recognize psychological illnesses and injuries as evidence of workplace harassment and violence. It also proposes to amend the Parliamentary Employment and Staff Relations Act (PESRA) by adding new health and safety obligations for employers. It will no longer be sufficient for employers to just have a policy in place to address workplace harassment and violence. They will be required, by law, to also report and investigate incidents. Political staff — those employed by members of Parliament — will now be subject to the Labour Code, PESRA, the House of Commons and Senate policies that guide how complaints should be filed and investigated, as well as any internal political party's misconduct process, such as the NDP's union procedure. Independent Sen. Nancy Hartling previously raised in the Senate that the mish-mash of different policies can be complicated and complainants risk "falling through the cracks." If a federal worker chooses to make a Labour Code, PESRA, or political party complaint, the current version of Bill C-65 doesn't say that they can also seek redress through the Canadian Human Rights Act. Ottawa-based lawyer Anne Levesque flagged this concern to HuffPost Canada noting that the wording of Bill C-65 could block people's access to the human rights system. Case law suggests the Human Rights Commission has no jurisdiction to hold an inquiry into complaints filed by parliamentary employees because they're covered by PESRA. Levesque said it's vital for the proposed legislation to include a provision that state that there's nothing in the bill that prevents people from seeking recourse in the human rights system. The human rights lawyer noted it's "increasingly important" for parliamentary employees to have the option to file complaints through the Commission. Levesque has been working with Sen. McPhedran, providing her services pro-bono to current and former Senate workers who have contacted the senator through a email address launched this year to share allegations of workplace misconduct in confidence. The Senate has become "kind of a Wild West of workplaces," Levesque said, since senators don't worry about re-election and there has been no "enforceable" legislation to protect staff. It would be "tragic and ironic" if the final bill would "block access to the human rights system when the intention is to bolster access to justice and protection and not to hinder it," she said. The current version of the bill doesn't include that guarantee. 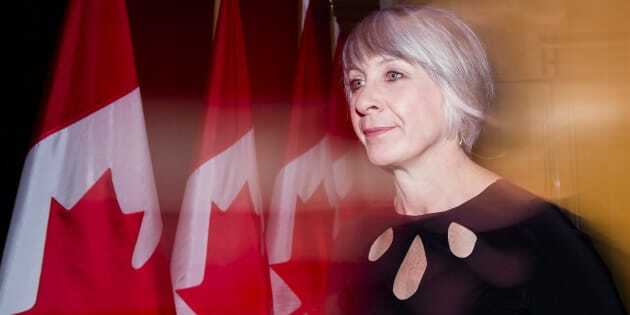 After this story's publication, a spokesperson from Hajdu's office told HuffPost Canada that the government isn't stopping any employee from filing human rights complaint. "Nothing in Bill C-65 will prevent an employee who believes that there has been a violation of their human rights from filing a complaint with the Canadian Human Rights Commission or a labour grievance under the Federal Public Sector Labour Relations Act or PESRA (for parliamentary employees) at any time," said spokesperson Emily Harris in an email. Though parliamentary employees are allowed to file a human rights complaint, there remains no provision in the current version of Bill C-65 to protect those cases from being thrown out.